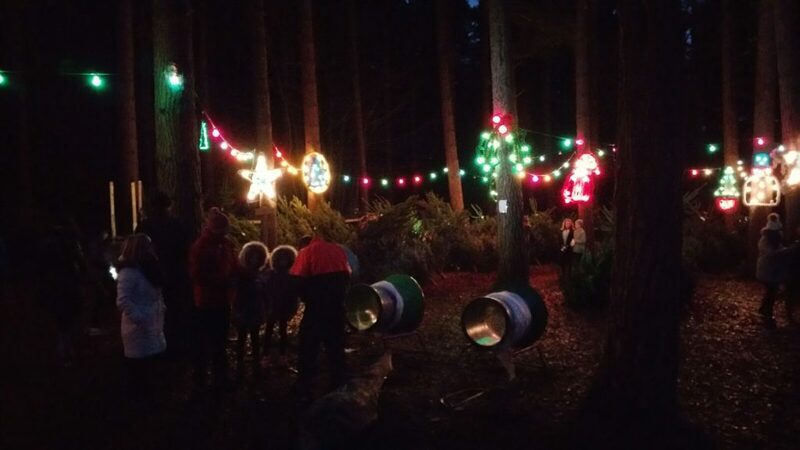 Thank you to everybody who supported Chopwell Wood by buying their tree from the Friends this year. Did you know that every tree sold helps to fund our work in the Wood throughout the year, so by buying from us you’re not only getting a beautiful real tree, you’re doing your bit to look after this lovely woodland? Store your tree in a cool place before bringing indoors. Keep away from direct heat, including fires and radiators. Cut 1 cm off the stump of your tree and stand in a container full of water. Don’t use sand or soil, which hinder the tree taking in moisture. Water regularly – a Christmas tree can ‘drink’ up to a pint a day. So keep it topped up! There is no tree recycling in Chopwell Wood so when Twelfth Night comes, please dispose of your Christmas tree responsibly – local household waste and recycling centres offer tree recycling. Why buy your tree in Chopwell Wood? All our Christmas Trees have been grown in BRITAIN, whilst many others sell trees from other countries (this usually involves the trees being cut early to allow time for shipping). Our trees are Forest Fresh, and with the right care should look good throughout the Christmas celebrations. Buying a real tree helps the environment – while growing these long-term crops add oxygen to our atmosphere and provide wildlife habitats. After use trees can be returned for recycling to sites set up by local Councils. The proceeds of the sale of trees each year bring benefits to the Wood – these are used to fund improvements such as the provision of picnic tables; maintenance of the footpaths; development of the facilities such as the Forest Classroom; the addition of sculptures and other features; and conservation and restoration of woodland habitats. These funds are also pay for public events within the Wood each year.